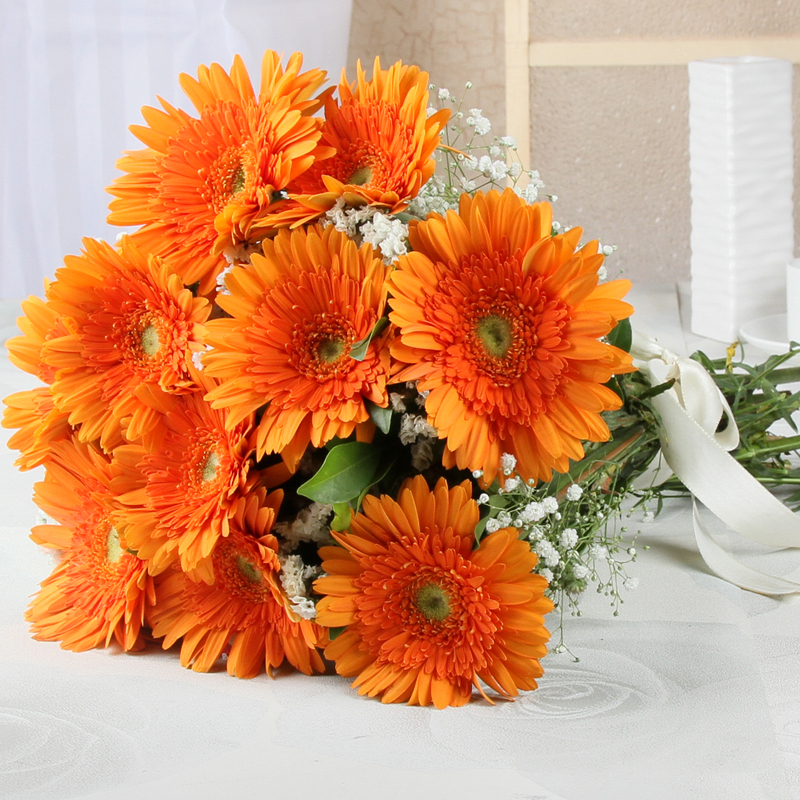 Product Consists: Bouquet of 10 Orange Color Gerberas with lots of green fillers. 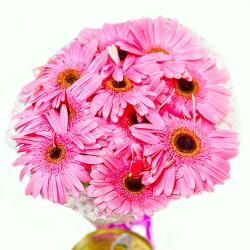 When it comes to sheer beauty and appeal, you can try this bunch of ten gerberas. 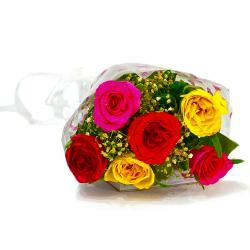 These flowers are ideal for occasions like Birthday, Anniversary, Good Luck Gifts, Gudi Padwa / Ugadi, Daughters Day. 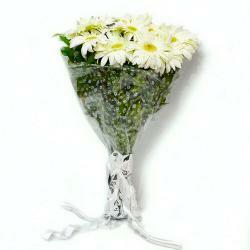 This gerberas bunch come wrapped neatly in cellophane with matching ribbon. These flowers look amazing and should be on your wish list for sure. 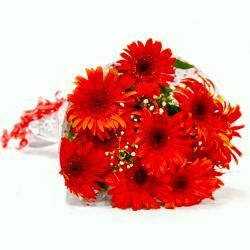 Product contains : Bouquet of 10 Orange Color Gerberas with lots of green fillers.